The 26-year-old midfielder has become a key member of the Chelsea squad this season after joining former Napoli coach Sarri at Stamford Bridge in the summer. Jorginho’s made 11 starts in all competitions for Chelsea this term and made a further four appearances for Italy over the recent international breaks in the last two months. Now Sarri believes it’s time Jorginho takes a necessary break for their Group L match against BATE. 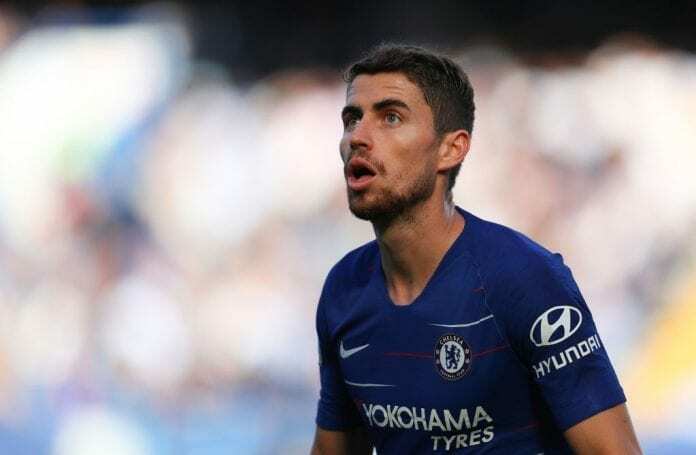 “Jorginho needs to rest now because he played 90 minutes in two matches for his national team, and then he played for 90 minutes in the last match,” Sarri told reporters on the club website. However, Sarri did reveal that Andreas Christensen and Ruben Loftus-Cheek may be handed a rare appearance tonight. Christensen, in particular, has been vocal over his unfavourable situation at Chelsea after being left out of the team regularly this season. “Christensen I think will be on the pitch, I don’t know for Hudson-Odoi, Loftus-Cheek maybe,” added Sarri. Eden Hazard will also be out for the match with Belarusian champions BATE.